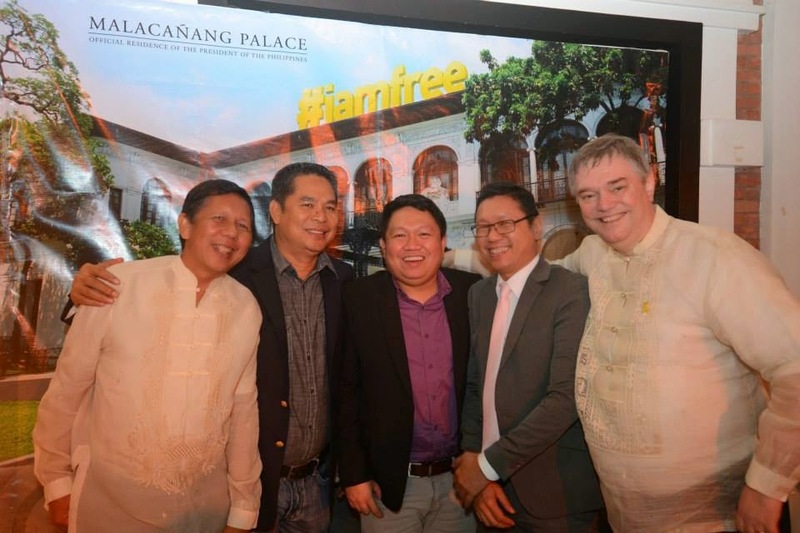 Last week, December 04, 2014, I attended the Freedom Flame Awards 2014 and Freedom Dinner sponsored by the Friedrich Naumann Foundation for Freedom (FNF) Philippine Office. 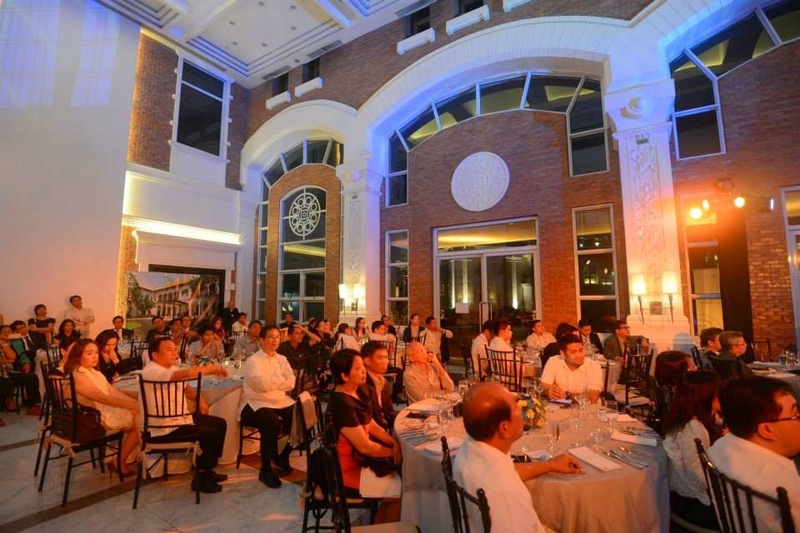 It was held at Enderun Colleges, Mckinley Hill, Taguig City. There are eight awardees this year but only four came. 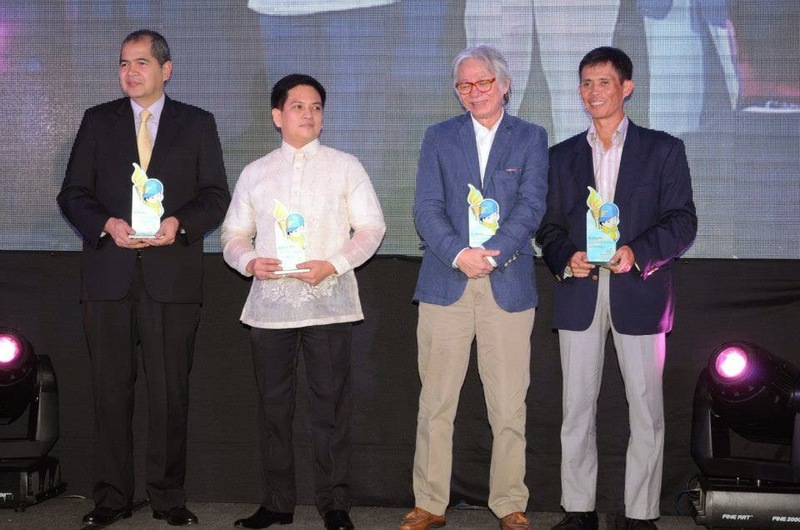 From left: Peter Perfecto of the Makati Business Club (MBC), Arpee Santiago of the Ateneo Human Rights Center (AHRC), Vergel de Dios of the Center for Media Freedom and Responsibility (CMFR) and Jess Lorenzo, taking the place of his mom-awardee who passed away, former Mayor Sonia Lorenzo of Nueva Ecija. Great guys. The Freedom Speech was given by Congw. Leni Robredo, 3rd District of Camarines Sur, and wife of the late Jesse Robredo, then DILG Secretary when he died in a plane crash. Congw. Leni is a humble and simple lady, soft spoken. She talked about her dreams and legislative proposals to advance more transparency and accountability in government. 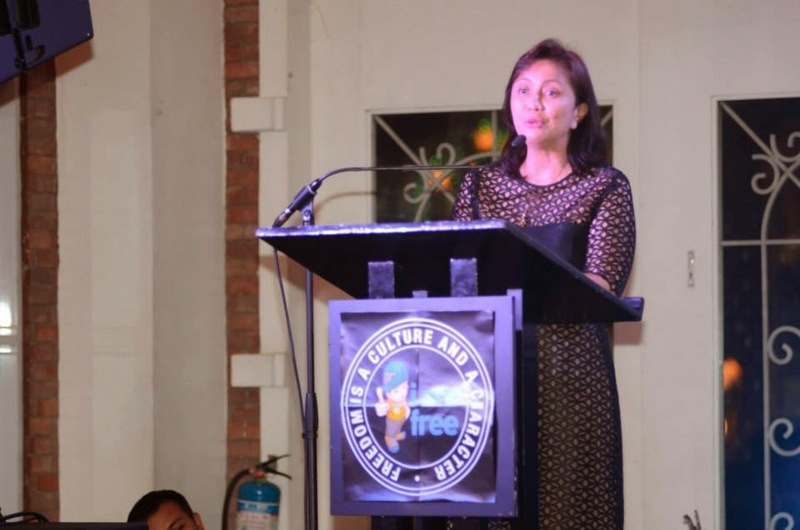 She said, "Filipinos are truly enjoying more freedom now than two decades ago. But if the question is 'are we satisfied with this freedom?,' to my mind, the answer is 'not yet.'" See other things she said here. When former Sec.Jesse Robredo was still alive, I was able to hear him in one forum at Mandarin Hotel where he was a speaker. He was very explicit in saying that business bureaucratism by government is wrong, so when he was the Mayor of Naga City, among the things he did was to drastically cut the approval process of getting a business permit. Within months as Mayor, he cut the number of signatures and days to release the business permit by at least half. To me, that is the mark of a good liberal -- less government bureaucratism, less or no unnecessary permits and fees imposed on the public -- and not so much about more transparency of a bureaucratic and tax-hungry government. Well I am no fan of BIG government, regardless of "good governance" rhetorics that people may say. Many people came, friends of FNF in the country. During dinner, I sat at the table of Arpee Santiago with his wife and staff at AHRC. After dinner and while sipping wine, I sat with the De La Salle Univ. (DLSU) group. 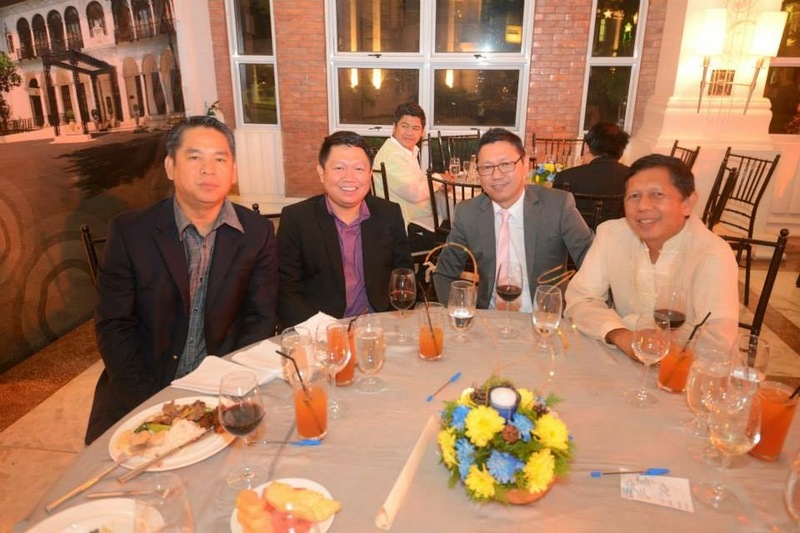 Political Science Department faculty members, from left: Roman Dannug, Ian Jason Hecita, and Francisco "Kiko" Magno. The latter is also the Director of the Jesse Robredo Institute for Governance of DLSU, also a friend from UP Sapul in the 80s, and a wedding godfather :-). FNF-PH Country Director Jules Maaten joined us for another photo. I told Jules, "at dinner I sat with the Ateneo group; after dinner, I sat with the La Salle group, but I am indifferent of these two schools." Jules asked, "where did you study", "UP" was my quick reply and I have no intention to change school affiliation or loyalty, hehehe. 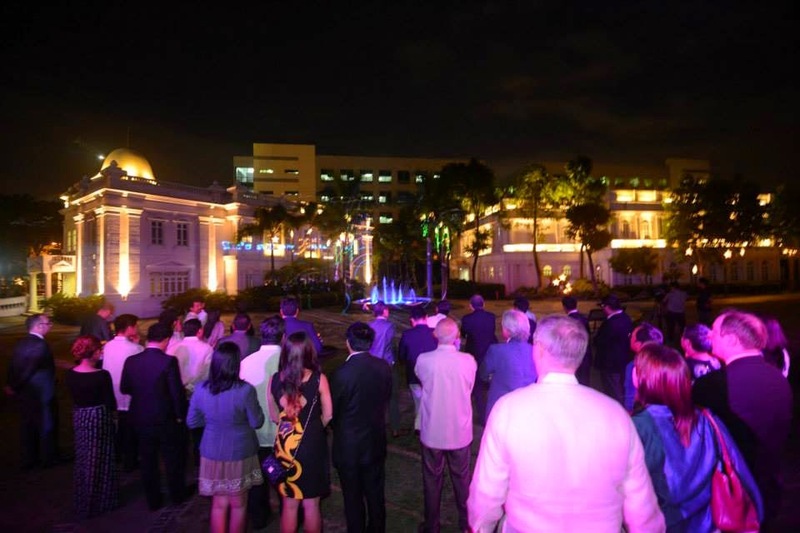 At last year's Freedom Flame Awards held in Intramuros, Manila and attended by many foreign guests, Asian politicians from the Council for Asian Liberals and Democrats (CALD) and some European politicians and leaders from Liberal International (LI), there was a fireworks display. This year, there was a lights show at the quadrangle, just outside the venue. Another great event. Thanks for the invite Jules. All photos from FNF-PH fb album.